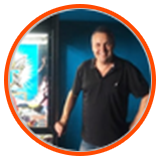 Make $350 to $500 for a day’s work per week by looking after claw machines! Sydney is looking for a Koalakrane franchisee who can own and operate claw vending machines exclusively in Australia’s most populous city! This business opportunity is the perfect lifestyle business, giving you plenty of time to focus on other important matters in your life. The Koalakrane franchise requires only one day a week to service your skilltester machines and collect your earnings. Koalakrane franchisees gain full support in all areas of the business—from technical to marketing. 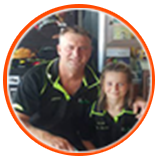 Koalakrane follows a proven business system that has been used in over 150 franchises in 17 years across Australia. Be the sole Koalakrane franchisee to operate in Sydney—run your claw amusement machine business without any worry of competition. Order licensed stock from Disney, AFL, and NRL to fill your toy arcade machines, adding instant attraction to potential players. Grab this Business Opportunity in Sydney or Someone Else Will!